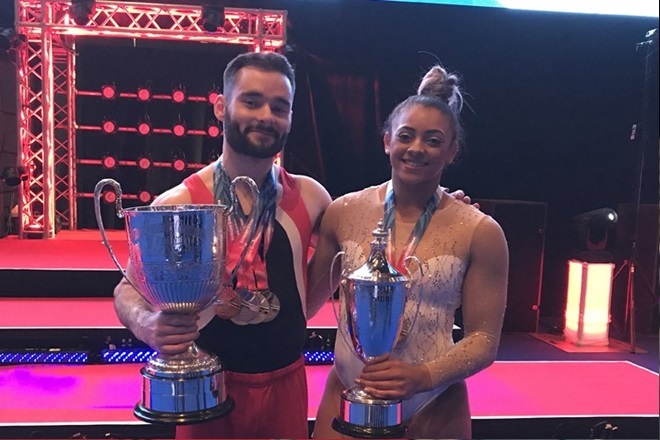 Ellie Downie has been crowned all-around champion at the British Gymnastics Championships held at the M&S Bank Arena in Liverpool as well as winning the title on both Vault and Floor. Dominating the Vault final, Ellie scored an average of 14.325 ahead of Phoebe Jakubczyk and Megan Bridge. Impressing on Floor, it was a close fight for gold as GB teammate Claudia Fragapane scored the same with 14.200 but Ellie’s execution score being higher with Taeja James in 3rd place. Along with her winning apparatus finals, Ellie also qualified for beam final finishing in 7th place with a score of 11.450. This is a great step for Ellie on her journey to Europeans and we look forward to seeing her compete in front of a home crown for the World Cup in Birmingham on 23rd March 2019. Well done to Ellie and all the gymnasts that attended this event.